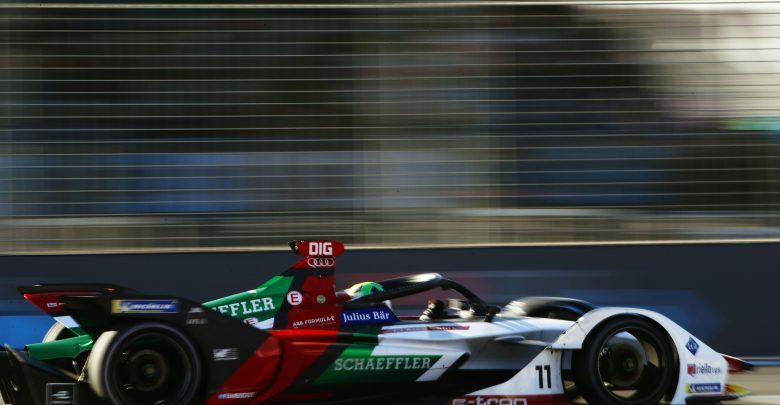 Reigning Formula E team’s champions Audi Sport Abt Schaeffler has had a tough start to the Gen2 era but are its early results indicative of its pace? 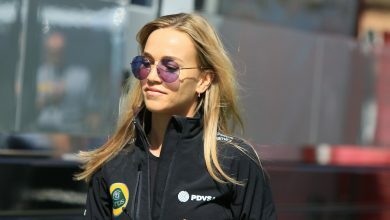 Coming in as reigning champions after having the fastest car from last season, many expected Audi to very much still be a leading contender in the 2018/19 season. But so far its best result has been seventh from the second round in Marrakesh. After the opening round in Ad Diriyah, there were rumours that something may be flawed in the e-tron FE05’s powertrain design. 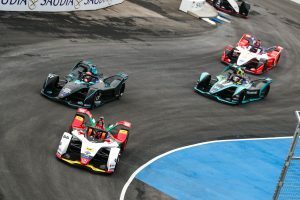 Audi scored eighth and ninth, with its customer team Envision Virgin Racing not scoring points and the factory drivers highlighting acceleration as a weak point. 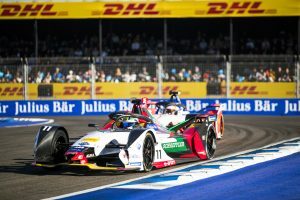 Further issues came in Marrakesh as di Grassi qualified outside of the top 10 and progressed only to seventh, with Daniel Abt struggling for pace in 10th. Meanwhile Virgin had two cars on the podium despite only having three days of private testing (as allocated by Audi) compared to 12 for the works team. However, the car’s raw pace is not what these results suggest. First of all di Grassi was excluded from qualifying in Ad Diriyah because he exceeded the maximum qualifying power of 250kW, as were the two Virgins. This error was commonplace in the opening round as practice was reduced to 15 minutes of actual running after heavy rain, meaning teams did not have a chance to calibrate their software. It also led to the two DS Techeetah drivers receiving drive-through penalties in the race, costing the team a 1-2 finish. The Ad Diriyah track was considered a difficult circuit for overtaking, so progression through the field was limited. 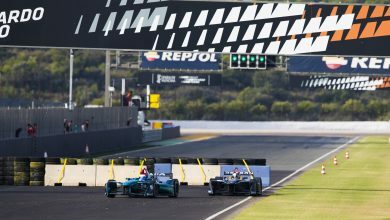 “It was a very atypical weekend with the cancellation of free practice, rain, qualifying groups joined together,” di Grassi told FormulaSpy. “With this new format on a track like Riyadh which was almost flat out it’s difficult to make up positions. I was the guy on the grid who made up most positions to ninth. Di Grassi suffered more bad luck in Marrakesh. A water pump failure meant he did not get a qualifying run in during practice, leaving him “zero reference” for his actual qualifying lap which put him 11th. In the race he was put in what he described as a “crappy situation” with the timing of the safety car, but he was battling the two Virgins on the fringes of the podium at one point. Abt was left bemused as to why his pace dropped off during the Marrakesh race, although he potentially suffered from overheating issues. He started the race lower than anticipated after he made a mistake on his qualifying lap, without which he would likely have been in super pole. “I had a super good first lap, I think I gained seven positions in the first corner. 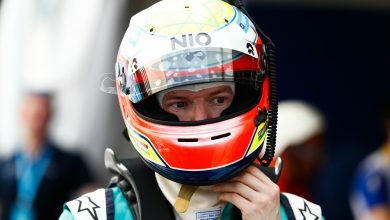 I was P9 and then I was on a really strong pace, used Attack Mode to gain two positions and I really thought I could easily go for a top five because I was closing in,” he told FormulaSpy. “Then all of sudden, when Attack Mode went off, I completely lost pace. I have no explanation for why but we saw there was a huge piece of paper in my cooler. I don’t know if something overheated or whatever. I had zero pace afterwards, I was really losing out. Team principal Allan McNish is convinced that his team simply need to hook up a weekend in order to reach its potential. “It’s not necessarily issues. It’s just a different car. 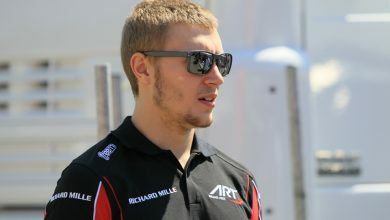 Bigger bodywork naturally means it’s not quite as easy to transport change if you have a problem,” he told FormulaSpy. “At the same time we had the luxury before of having a second car, which you now don’t. So if you have a problem in FP2 you used to be able to use the other car for qualifying and switch around. Same if you had it in qualifying then you could start [the race] with the other car and have a bit more time to repair. Now that’s not the case. “But that’s the same for everybody. It’s more like a normal motorsport now and you’ve got to take that into account when first of all you’re designing your part of the car, you have to take it into account when you’re driving the car as well. “I think the car is where it needs to be. It’s not a matter of getting the car there, it is where it needs to be. At the end of the day we’ve got to put it together. When I say ‘we’ I don’t separate myself or the drivers or anybody out of that. Formula E races have more often than not been defined by hooking up a good weekend. Hitting the ground running in practice and nailing the set-up is sometimes more important than the capabilities of the powertrain, which has become less of a factor in races as designs begin to converge. With a brand new car and a total overhaul of the technical regulations for this season, that is the case now more than ever. Once it works out these kinks, Audi will surely be fighting at the head of the field once again.